In her study of Western conceptions of literacy and literature, Margaret Ferguson surveys a vast territory that combines theoretical, historical and cultural concerns. Her focus is on the gendered construction of literacy and the concomitant gendering of literature and literary education, beginning in the early modern period in England and France and continuing today in U.S. and European institutional structures. Ferguson's analysis leads surely to related discussions of social value that will illuminate cultural contexts far beyond those explicitly invoked in her study. 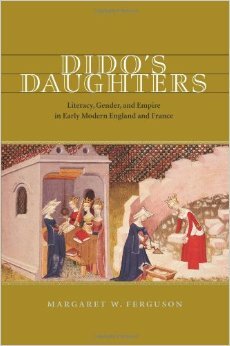 Dido's Daughters combines theoretical speculation with assiduous historical, cultural and textual analysis in ways that assure its relevance not only to scholars of the early modern period but also all scholars engaged in the on-going disciplinary and pedagogical practice of comparative literature and literary studies more generally. Eric Santer’s On the Psychotheology of Everyday Life is an eloquent excursus on the phantasmic and deadening psychic defenses that are part and parcel of the overwhelming experience of wonder in this world even as they seek to ward against this experience. 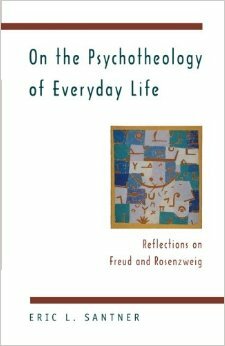 Bringing Freud and Rosenzweig together by identifying a chiastic connection between them – the presence of profoundly theological thinking in the author of the analytic concepts of the psychic defense and death drive, and the identification, by the theological thinker, of an excessive experience of the Other, the very symptoms of which compose the mechanisms of the psyche – Santner offers a new way of conceiving our being in the world that speaks directly to the best of both the psychoanalytic and theological traditions. In so doing he reconfirms the centrality of theoretical reflection in general to any understanding of self and other and the intimate and ineluctable relation that creates them.